Most of us hardly know why we lose hair and this can cultivate a lot of stress when it comes to treating it. 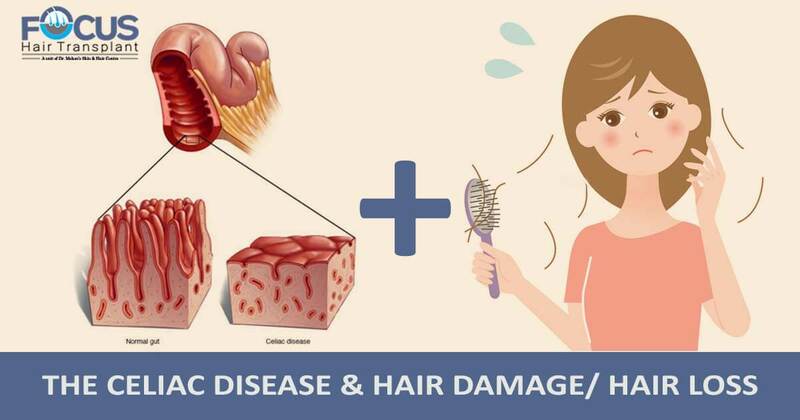 The commonest reasons as to why millions lose hair are known to be the excess DHT hormone, strict diet, prolonged stress, ageing, medications, harsh styling methods among others. Findings also confirm that one may lose hair due to the Celiac disease. A person is diagnosed with the celiac disease in the case it is found that Gluten has damaged the intestines. Gluten is a protein found in wheat and it has the potential of damaging one’s intestines. 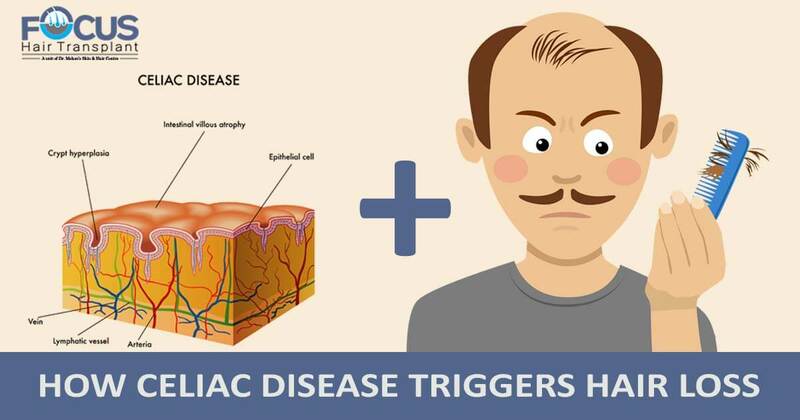 The celiac disease generally attacks the immune system and in the case left untreated, it causes the system to become aggressive something which triggers patchy hair loss. The disease can also attack the thyroid something which can cause hormonal imbalances. 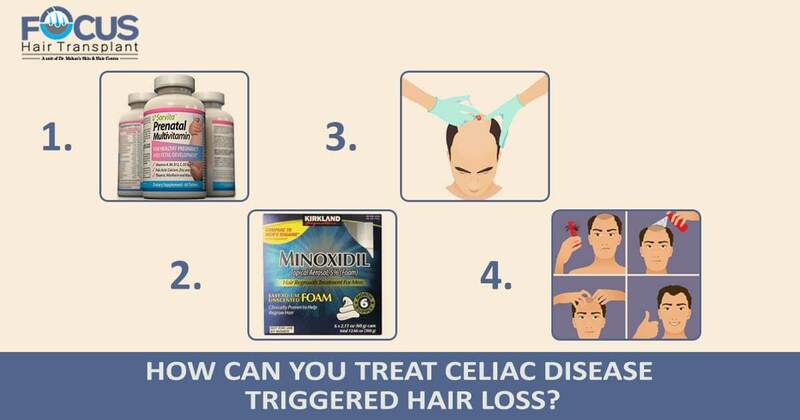 How Can You Treat Celiac Disease Triggered Hair Loss? A doctor will certainly require you to take medications to eliminate the deficiency caused by the disease. These medications or supplements include calcium, zinc, iron, and vitamins for normal body function. Depending on your condition, a hair transplant surgeon may prescribe corticosteroids or minoxidil to stop hair loss. Other anti-hair loss approaches like hair products can be utilized. PRP therapy is an excellent hair restoration approach, suitable for both males and females. 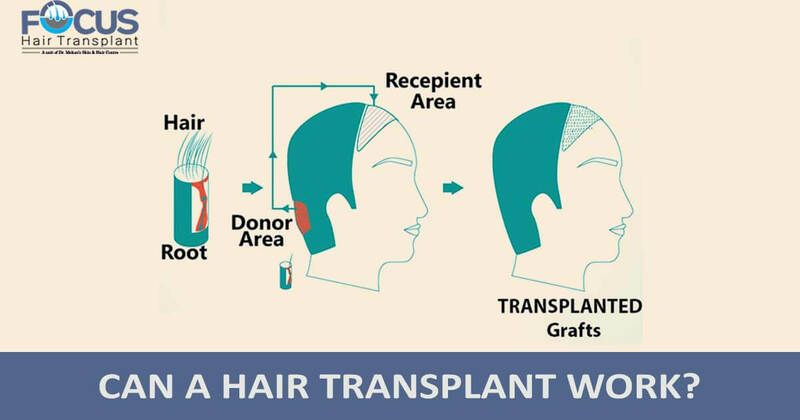 This treatment approach requires a hair transplant surgeon to draw blood from your body and then centrifuge it. The growth factors from the blood are obtained after which, they are injected back into the affected regions of the scalp. These include scalp massaging, using natural oils, applying garlic and onion juice on the scalp among others. Lifestyle and dietary changes are also required to control the gluten levels in the body. Can a Hair Transplant Work? Commonly, the celiac disease triggered alopecia won’t require a hair transplant, but non-surgical hair loss treatment intervention. Unless deemed necessary, a hair transplant surgeon will perform a hair transplant to effectively restore your hair. In case suffering from alopecia, certainly, that which is triggered by celiac disease, consider meeting with an experienced hair restoration surgeon. You will certainly get vital tips on how to control hair loss and also re-grow your hair.